Located at the contested borders between the Seleucid, Parthian, and Roman Empires—and on the Euphrates River, a major north-south transportation artery—Dura-Europos was home to a multicultural population. Settled by Macedonian veterans around 300 BCE, Parthians captured Dura-Europos late in the second century BCE. The Parthians made the city into a fortress, and it flourished as a trading post on the western border of their huge empire. In the mid-second century CE, the Romans seized the city and turned it into a major garrison on their empire’s eastern frontier. Remains of parchment, papyri, and carved inscriptions attest to the numerous languages spoken and written in ancient Dura-Europos, including Greek, Latin, Aramaic (Palmyrene and Syriac), Middle Persian, Parthian, Hebrew, and Safaitic. The religions that coexisted in the city speak to an equally complex cultural environment, with temples to Greek, Roman, and numerous Near Eastern gods, as well as dedicated places of worship for Christians and Jews. Abandoned after a Sasanian siege and sack in 256 CE, the site remained virtually unexplored until 1928, when excavations at Dura-Europos were initiated by Yale University. Buildings uncovered included a synagogue painted with biblical scenes (something thought impossible given the prohibition against figural images in Jewish law); one of the first Christian house churches, with the earliest-known baptistery; and a place of worship for the mystery religion of Mithraism. 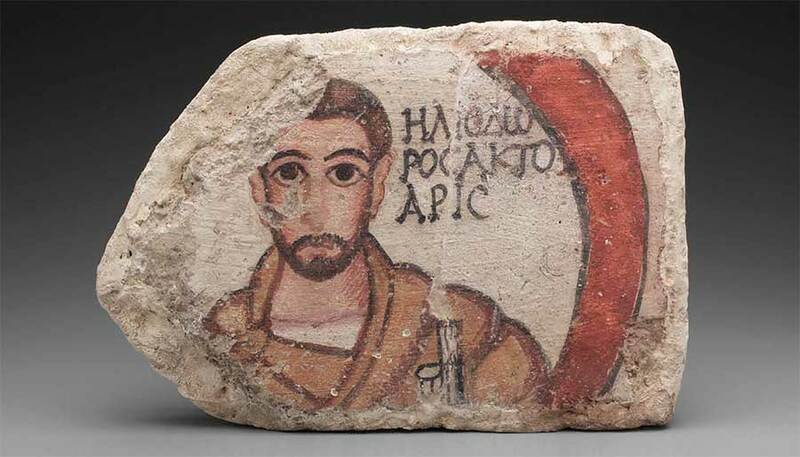 Such discoveries fundamentally altered the understanding of religious practice in antiquity. Displaying highly significant treasures excavated at Dura-Europos and now in the collection of the Yale University Art Gallery, the exhibition partially reconstructs some of the city’s ancient religious spaces with their celebrated wall paintings (some newly restored) and explores interactions among the disparate cultural, religious, and professional groups that inhabited Dura-Europos. Organized by the Yale University Art Gallery and the McMullen Museum of Art, Boston College, this exhibition has been curated by Lisa Brody (Yale University Art Gallery) and Gail Hoffman (Boston College, Classics Department) with support from the National Endowment for the Arts, Boston College, and the Patrons of the McMullen Museum. Additional support was provided by the Newton College class of 1965.